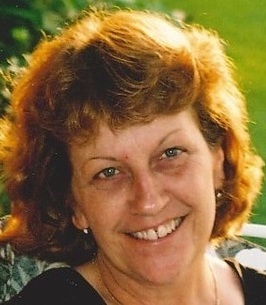 Wanda G. (Jenkins) Stout, 69, of Indianapolis, went to be with the Lord on September 7, 2018. She was born to James Hershel and Elsie Ruth (Hire) Jenkins on November 27, 1948 in Indianapolis. She married Michael A. "Tony" Stout on August 4, 1997. Wanda is survived by two loving twin sons, James (Ann-Marie) McCormick of OK and Steven McCormick of OK; one grandson, Trevor McCormick; three loving sisters, Jean Carter of Indianapolis, Peggy Van Blaricum of Camby and twin sister, Sandy Rhudy of Greenwood. Wanda is preceded in death by her parents, husband; three sisters, Kathryn Simpson, Carolyn Lathrop and Hilda Baker; and three brothers, Bill, Don and Harold Jenkins. Wanda worked as an Assembly Line Worker for International Paper for 36 years, retiring in 2010. She enjoyed bird watching and dog sitting for her sisters. She loved spending time with her sisters most of all. She lived in the Mooresville and Indianapolis area for most of her life. Family and friends may show their love and support from 4-8 p.m. on Friday, September 14th and 9-10 a.m. on Saturday, September 15th at Jones Family Mortuary in Mooresville. Pastor Mike Conley will officiate Wanda's celebration of life service at 10 a.m. on Saturday morning, September 15th at Jones Family Mortuary. Wanda will be laid to rest in West Newton Cemetery. To send flowers to the family of Wanda G. Stout (Jenkins), please visit our Heartfelt Sympathies Store. Hugs and prayers for all her loved ones from a former I.P. co-worker. My Prayer's Are With You & Your Family.